families in Khao Tao a supplementary income during the monsoon season. 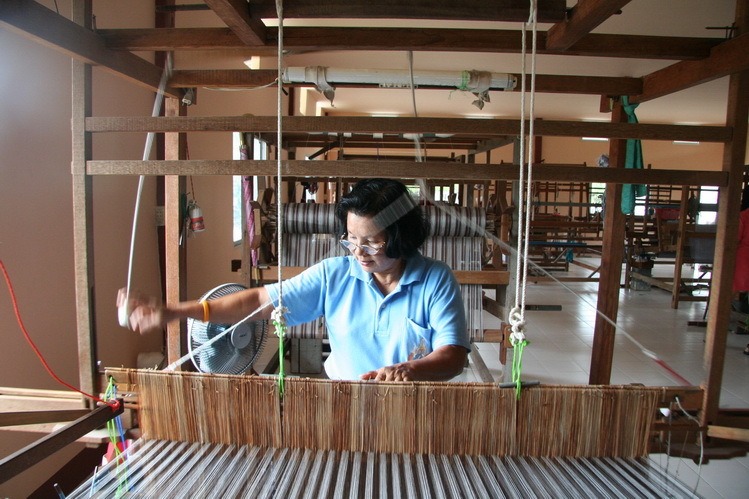 This began a tradition of locally skilled weavers, producing beautiful hand woven cotton and linen fabrics, which have become some of the signature products of Prachuap Khiri Khan province. The cheerful women weavers work daily with the finest cotton fibres to produce a distinctive quality of cloth that breaths, offering optimum comfort when worn in any season. 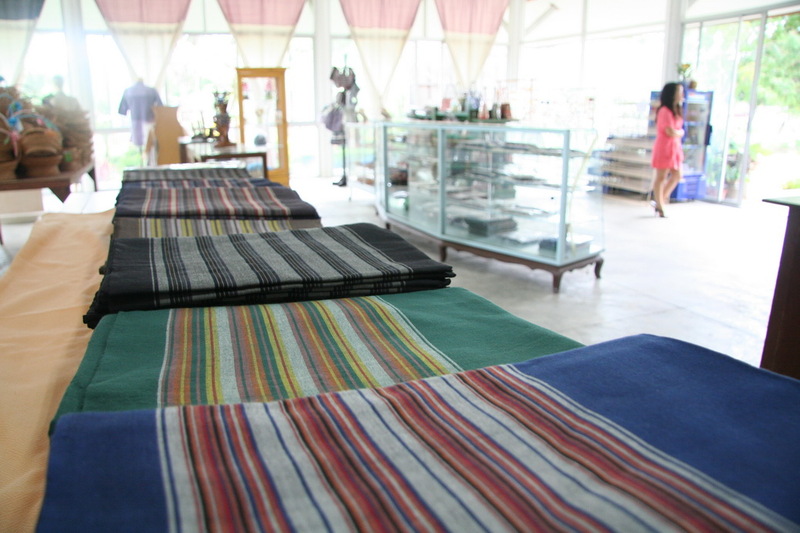 The weaving group also distinguishes itself by weaving colourful floral print designs called Yok Dok. All fabrics are colour fast, non shrinkable and long lasting. Instructions: Drive to Khao Tao on Petchkasem road and turn onto Soi 101. Drive on and go over the railway crossing, carry on for 300 meters and you will come to the weavers work hall and shop on the right hand side of the road.